Leading the way with innovative, fresh ideas for builders and manufacturers. Providing materials insight through custom data and reports. 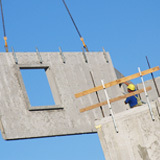 Setting the standard in the building industry through cutting edge research. Bringing our expertise and relationships to bear on solutions for government agency housing issues. Government agencies have special needs when it comes to research and training. Of course they need contractors who possess a depth of knowledge and expertise. But they also need contractors who possess the necessary management systems and experience to ensure that taxpayers get full value for the dollars the government spends. Moreover, they need contractors with deep industry relationships who can leverage the government investment with private sector investments of time, products, and money. With 50 years of experience in government consulting, Home Innovation Research Labs has been the "go-to" consultant for numerous federal and state government agencies across a wide range of research disciplines. 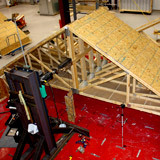 From technology issues such as improving a home’s durability and energy efficiency to developing quality management systems for the building industry, Home Innovation Labs has been on the cutting edge of research to improve the performance of builders and homes to enhance the overall quality of the homes in which we live. 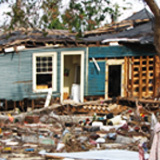 Home Innovation Labs provides field assessments of housing damage to understand failure modes and opportunities for improvements in the wake of natural disasters. We can also assist state and local government agencies with pre-disaster planning and preparedness, based on our decades of experience evaluating the aftermath and documenting lessons learned. Home Innovation Labs provides evaluations on the condition of housing stock and costs of needed maintenance and improvements for agencies who own housing units, such as branches of the U.S. Military. Home Innovation Labs can provide a wide array of other general or customized services to local, state, and federal government agencies. Home Innovation Research Labs is an independent subsidiary of the National Association of Home Builders (NAHB).